And how do we continue to exceed those expectations? We give you the tools to educate, innovate, and elevate your business. Rep Firm Membership Pricing: Rep Members must pay according to their total personnel in their agency. This includes Principals, Outside Sales, Inside Sales and Support Staff. Manufacturer Dues Pricing: Manufacturer Members must pay according to sales volume, with dues starting at a minimum of $1,205 for companies with up to $5 million in sales, continuing in increments with a maximum of $2,285 for companies with over $100 million in sales. Train Your New Talent: We get it. Our members need young and talented sales staff to lead their companies into the future, but you don’t have the time to do it. That’s why we created user-friendly and self-testing courses to train your newest additions. All in our new Foodservice 101 online curriculum. Making the Most of the Rep-Manufacturer Partnership: The relationships between reps and manufacturers can be complicated. And after 65+ years, we’ve heard it all. 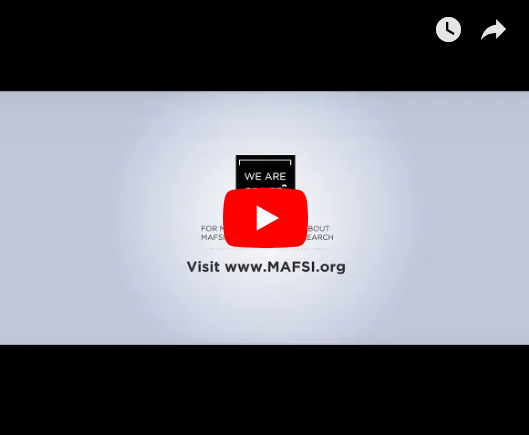 Our library of over 80 MAFSI Guidelines and Resources were developed to serve as helpful advice and concepts to think about when making various decisions affecting this partnership – and helping it thrive. The Biggest Conference in the Industry: 640+ reps and factories convene every other year at the largest educational foodservice conference in the industry. Held over three days and over 50 sessions; it allows members to meet with their peers, learn new methods of doing business, discuss mutual solutions, and run stronger, smarter businesses. MAFSI Technology Certification (MTC): MAFSI reps invest in their business – and MTC lets you show that off. Our certification program provides an industry benchmark by offering technology guidelines for agencies and shows manufacturers just how your firm's tech investments enhance your market position. The Industry News You Need to Know: You know your business better than anyone, and so does MAFSI. Our monthly e-newsletter, MAFSI Matters, is an excellent source of the need-to-know industry information, legislative updates, association news, tips, and much more. The content and articles are carefully curated to apply directly to what you do and help your business succeed. The Quarter-by-Quarter Pulse: In 2002, we instituted the MAFSI Business Barometer Survey, a quarterly survey that has become a leading economic indicator in the foodservice industry, with an inside look at regional and national sales trends and forecast for equipment, supplies, tabletop and furniture lines. Cited in numerous trade, regional, and national media – it is a definitive pulse of sales intelligence for savvy reps and manufacturers. The Industry’s Go-To Annual Forecast: Our annual Commercial Foodservice Market Forecast is an in-depth forecast covering all the must-know data points and trends...helping both our reps and our manufacturers, more accurately predict the future of business, while setting reasonable goals and quotas. The combined intelligence of this report help our members design and execute sales strategies that actually work. Find the Right Rep, The First Time: The FEDA Rep Finder is a real-time database of MAFSI reps, searchable by brand, region, city, or zip code. This intelligent, and easy-to-use tool helps our FEDA dealer friends find the right rep in the right region. Game-Changing Software: When you know more – you grow more. Imagine logging into a system that immediately greets you with a complete list of your 11-40-00 spec projects, your top reps or manufacturers, your top consultants, top dealers, and top market segments. All on a single page - across North America. Well, imagine no more. Find out more about SpecPath®; MAFSI’s game-changing 11-40-00 specification tracking software TODAY. Save $$ on the Services You Need: MAFSI has discount programs with various product and service companies including business insurance, health, and wellness insurance solutions, supplemental health insurance, wireless/mobile plans, commissions collections, and much more. Find the Best Reps or Manufacturers Right Now: MAFSI's searchable online Member Locator lists our 275+ rep firm members and 260+ manufacturer members. The data is always current as the Locator is updated daily. Bringing the best reps together with best manufacturers: Is at the core of MAFSI's mission. With MAFSI Reps Wanted Marketing, we’ve broken down the sub-categories, so you can better and more accurately describe the type of rep you need and fill your empty regions quickly. Looking for new lines? : If so, then MAFSI is your best resource. Lines Wanted Listings allow reps to share the lines they are ready to add. It allows manufacturers to search and see the specific types of lines rep firm are seeking. Rep Benchmarking Survey: All MAFSI Reps get access to a yearly benchmarking report, free of charge. This confidential report shows reps how their firm compares to others, where strengths are, where they need to improve – and how to better meet the needs of their employees, and their manufacturers. Questions? Want to know more about our Member Benefits? As our Membership Director, Ramsey is responsible for handling almost all things membership-related, and for supporting the operational management of MAFSI. Her role includes managing many of our core functions like membership, member services and benefits, our analytics, and our overall day-to-day processes. Ramsey can be reached at 404-214-9474 or [email protected]. Q1 2019 MAFSI Business Barometer Survey - NOW OPEN! Don't forget to submit your survey by May 6th, 2019. 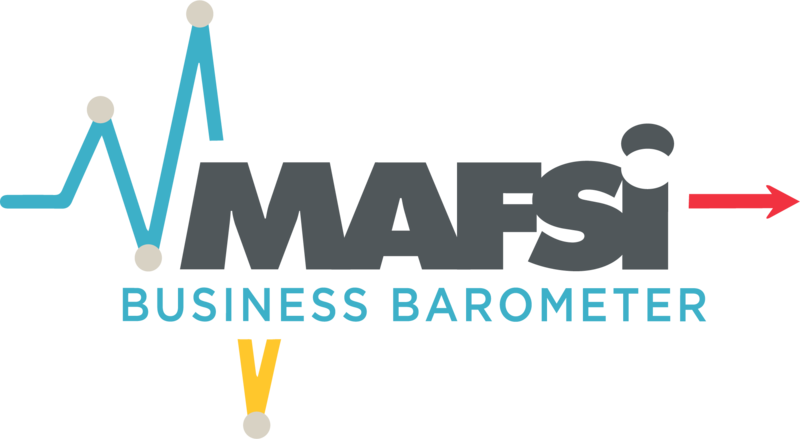 MAFSI Business Barometer ends 2018 with slow growth. Growth of +2.2% for Q1 2019. Starting May 2019, MAFSI members and channel partners can save time and money with our Foodservice 101 online education. Your new employees get up to speed faster, and thousands of training dollars are saved. Haven't tried SpecPath? Sign up for your free trial today! Working alongside our friends from FEDA, we’re proud to announce our new FEDA Rep Finder; a real-time database of MAFSI reps, searchable by brand, region, city or zip code. All to help our FEDA dealer friends find the right rep, in the right region. We look forward to learning more about your company. Click here to receive more information on MAFSI.